Compact, lightweight, intuitive and intelligent, Yokogawa pressure instruments simplify all aspects of handling, commissioning, installation, operation, and maintenance while delivering outstanding performance. Whether installed in the harsh environment of an offshore platform or a refinery in the burning desert heat, our DPharp series delivers accurate, repeatable, and high integrity process measurements. Learn more about Pressure Transmitters. Click 'Details' above or link below to see the following content. Gauge Pressure transmitters compare a pressure relative to atmospheric measure. Differential Pressure (DP) is defined as the difference between two pressures. Differential Pressure Transmitters use a reference point called the low-side pressure and compare it to the high-side pressure. Ports in the instrument are marked high-side and low-side. Absolute Pressure transmitters compare a pressure relative to Absolute pressure. Absolute pressure is always a positive value. Accurate level readings are essential to the safe, reliable, profitable operation of your plant. Liquid Level transmitters measure differential pressure to infer the level in a vessel. There are several technologies on the market to measure mass flow. One is the Multi-variable Pressure Transmitter. A Multi-Sensing transmitter combines transmitters for Differential Pressure, Gauge Pressure, and Temperature into one field instrument. 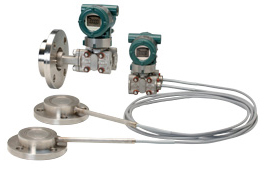 Diaphragm Seal System can be used to measure liquid, gas, or steam flow as well as liquid level, density, and pressure. Draft Pressure transmitters are a unique type of differential transmitter that is designed to measure small differences in very low static pressure environments. Using Bernoulli's equation, Differential Pressure transmitters can be used to infer the flow of fluid through a pipe. Yokogawa have been manufacturing electronic pressure transmitters for more than four decades. We revolutionized the industry and set a new standard for pressure measurement with the introduction of the DPharp digital sensor in 1991. The superior performance of the new technology enabled exponential market expansion. Yokogawa continues, the digital evolution with the enhancement of our DPharp family to deliver best in class pressure measurement solutions to our esteemed customers. Timeline of Yokogawa's Pressure Sensor Advances. Refer to the general specifications on each product page for detailed specifications. * Other FB include SC (Signal Characteriser), IT (Integrator), AR (Arithmetic) and IS (Input Selecor). The primary function of a utility boiler is to convert water into steam to be used by a steam turbine / generator in producing electricity. The boiler consists of a furnace, where air and fuel are combined and burned to produce combustion gases, and a feedwater tube system, the con- tents of which are heated by these gases. DPharp performance in boiler drum level measurement applications is superior to metallic capacitance type pressure transmitters. Improved performance can be attributed to the unique resonant silicon sensor design with dual resonators. 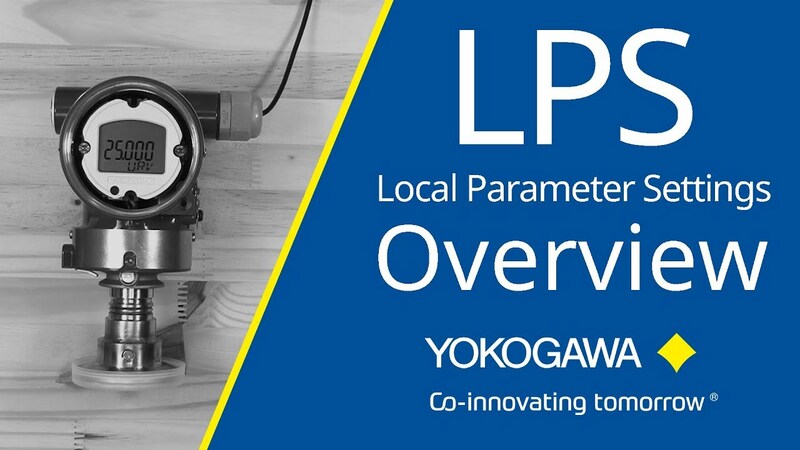 Yokogawa’s Local Parameter Setting (LPS) featured in our Pressure Transmitters helps you set 9 parameters without the use of a handheld communicator.